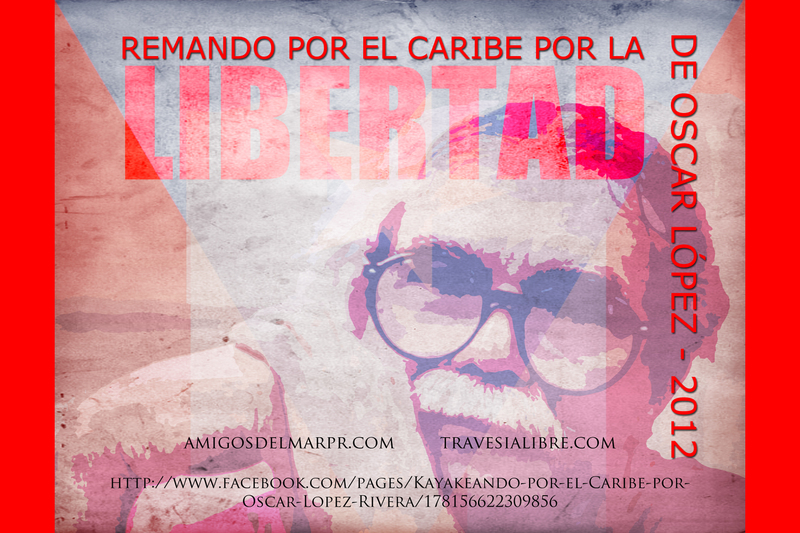 On June 20 Puerto Rican environmental activist Alberto De Jesus “Tito Kayak” will row through the Caribbean antilles from Venezuela to Puerto Rico to generate support for the release of political prisoner Oscar Lopez-Rivera, who has spent 31 years in the American prison system. 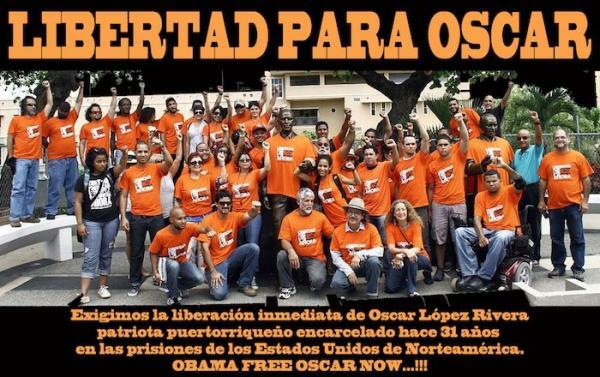 Oscar was convicted for belonging to the Armed Forces of National Liberation (FALN), an organization that engaged in armed struggle for Puerto Rican independence in the 1970's. He was not convicted of any particular violent act of the FALN, but rather for “seditious conspiracy”. Convicted rapists and murderers in the USA generally serve much briefer sentences than Oscar, who was not convicted of any violent act. The US government intends to keep him imprisoned for fifteen more years, until July 2027. Oscar is currently 69 years old. Repression against Puerto Ricans on the basis of our political beliefs is constant and relentless, and spans from police and FBI surveillance, infiltration and disruption of lawful and peaceful independentista organizations and campaigns to outright assassination. To name just two of the most outrageous examples of the latter: in March 1937 local police under orders of US-appointed governor Blanton Winship slaughtered a peaceful Nationalist march in the streets of Ponce city, killing 19 and wounding around 150. And in September 2005 FBI agents- with the assistance of local police- murdered independentista leader Filiberto Ojeda-Rios, leader of the clandestine group Los Macheteros, right in his house. Both crimes, and many other violent and unlawful acts against our independence movement, remain unpunished to this day. Puerto Rico has an ancient tradition of armed struggle against colonialism, which dates back to the Taino resistance against the Spanish conquest, and the 1868 Lares uprising against Spanish rule. In 1898 the United States invaded Puerto Rico and has since then pretended to impose its absolute will over this Caribbean island nation. For over 110 years of US colonialism, there has not been a moment in which the invader has not encountered resistance. Instances of peaceful and armed struggle are too many to number here, but to name just one: in 1950 US president Harry Truman almost met death at the hands of Puerto Rican nationalists who shot at him in the streets of Washington DC. In its Resolution 1514, the United Nations recognized the absolute right of colonized peoples to fight against colonialism and for their independence and self-determination. Tito Kayak represents a new breed of activist patriot. His militance, creativity and audacity has taken him and his organization, Friends of the Sea, to carry out daring high-visibility acts in favor of environmental protection and human rights and against the abuse of the powerful. 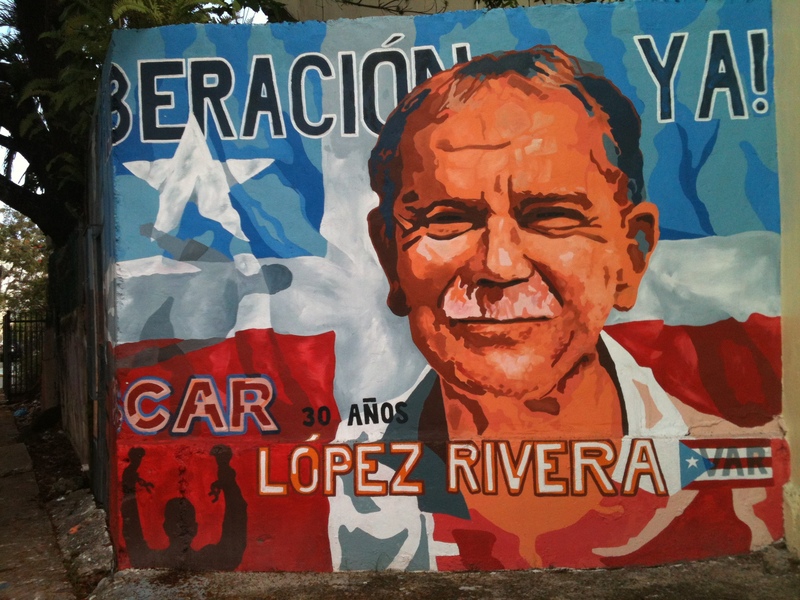 Protesting against the passage of radioactive waste through Caribbean waters, interrupting the US Navy's target practice in the island of Vieques, picking up litter in beaches, teaching children to recycle, Tito Kayak does all this and much more, earning great respect and esteem from the people of Puerto Rico. His actions have also earned him the contempt of US authorities, which have jailed him on several occasions. He once spent a whole year imprisoned in the United States for draping a Puerto Rican flag on the Statue of Liberty's forehead, thus openly defying probation terms imposed on him by the US Judiciary. publicadas por Carmelo Ruiz a la/s 2:17 a.m.